Shares in Bayer hit an almost seven-year low on Thursday after a US jury awarded $80m (€71m) to a man claiming use of the group’s weed killer Roundup caused his cancer, with thousands of similar lawsuits looming. The jury in San Francisco federal court on Wednesday found Bayer liable because its Monsanto unit did not warn plaintiff Edwin Hardeman of the herbicide’s alleged cancer risks. German chemicals giant Bayer, which bought Roundup maker Monsanto last year for $63bn (€56bn), said it would appeal the verdict. Its shares were down 1.3pc at €55.59 at 10:23 GMT, valuing the drugs and crop chemicals group at about €52bn, well below the Monsanto price tag. The stock was, however, spared the type of plunge it suffered last week when it fell 9.6pc on the jury’s conclusion – part-way into the Hardeman trial – that there was a causal link between the weedkiller and the plaintiff’s disease. The trial is only the second of more than 11,200 Roundup lawsuits set to go to trial in the United States. In the first trial, a California man was awarded damages by a jury in state court in August, which were later reduced to $78m. The case is on appeal. 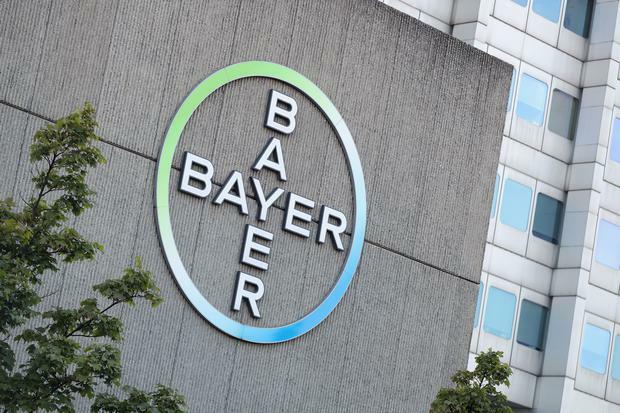 Analysts at JP Morgan and Liberum said Bayer’s market value reflected overly pessimistic expectations of the German group eventually settling for up to €20bn or €40bn, respectively. “Even if Monsanto/Bayer may win some cases, there is great uncertainty about the number of victories and defeats. That is why we expect Bayer to try to settle the remaining cases,” said Bryan Garnier analyst Jean-Jacques Le Fur. Hardeman’s case was considered a bellwether trial to help determine the range of damages and define settlement options for the more than 760 other federal cases pending in the same court before US District Judge Vince Chhabria. Other cases will be heard in state courts. “This verdict does not change the weight of over four decades of extensive science and the conclusions of regulators worldwide that support the safety of our glyphosate-based herbicides and that they are not carcinogenic,” Bayer said. Monsanto’s Roundup was the first to contain glyphosate, the world’s most widely used weed killer. But it is no longer patent-protected and many other versions are available. Bayer does not provide sales figures for the product and analysts no longer deem it a major profit driver. Genetically modified crops that resist glyphosate’s plant-killing effect, however, contribute heavily to earnings at Bayer’s agricultural division.